Downing classroom on a sunny morning! Downing class were delighted that Daphna got going so quickly with her topic homework. We loved the Molasses biscuits! Downing class have loved being involved with the puppet show this week and are very proud of the puppets they have created. Here are photos of a few of them but if you want to see more, come to one of the performances tomorrow (5th October). Shows are at 10.30am, 2.00pm and 5.30pm and tickets can be bought for £2.50 from the school office. Our instructions for how to make these puppets are attached at the bottom of the page. Downing class have now all written their warning stories and they are utterly wonderful! Set in a range of places from an abandoned lighthouse, to a mysterious school cupboard, to hell (! ), they have truly let their imaginations run wild. Have a look at Kayden's story (attached below) for a brilliant example. Downing class have enjoyed making WWII planes in DT with Mrs Cubitt. Here are some of the finished masterpieces! A quote from a Downing pupil; " If you don't count the fact that the boiler has been broken, today has been absolutely perfect in every single way." Yesterday, Downing pupils had a go at coding their sprites on Scratch. Many of them were much better at this than Miss Dilnot! Downing class made their own submarines today using only straws and plastacine! We had a great time ensuring that our submarines were the optimal weight to be able to move up and down our water bottles when the bottles were squeezed. Downing class have crashed right into their new topic for this term 'I'm a pupil, get me out of here'. We started by designing and making our own display to make us feel like we are learning in the rainforest. See if you can spot the toucans, parrots, green anaconda and monkeys! We have been enjoying finding out more about countries in South America this week and have produced some fact files based on our research. Today we gave out the new homework 'menu' for this half term which was met with an enthusiastic response. Have a look and take your pick of projects! On World Book Day, we set ourselves the challenge of creating, writing, illustrating and publishing a children's book. All of the pupils worked incredibly hard to create our very own class book: The Snowflake. See the pdf attachment below for the final product! And on Thursday an engineer came to help us with our car projects - they can now all move both forwards and backwards! 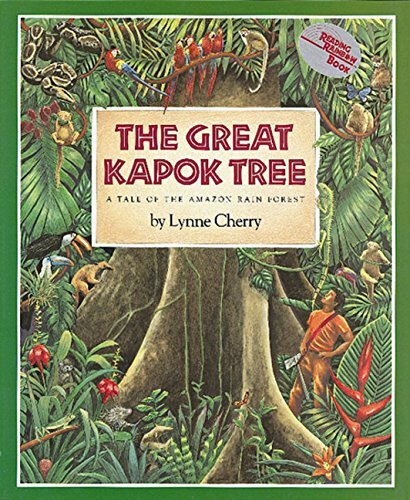 This week we have been starting to learn our new model text 'The Great Kapok tree'. Have a look at the text map below and see if you can decipher the story! Downing class have had another great week this week to finish off the Spring term. On Tuesday, we excavated the fossils we had created, mimicking the process of 'mould and cast'.